Edited by Monica Fedele . 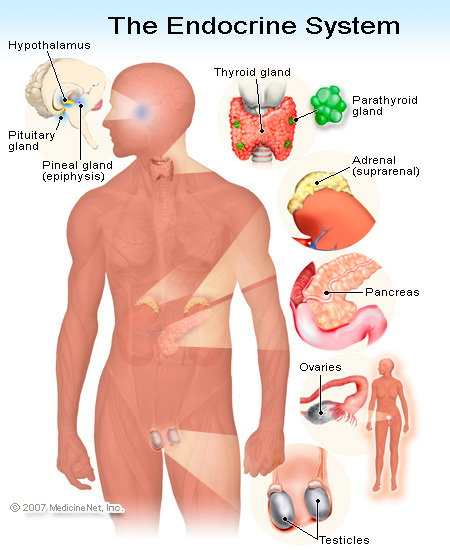 The endocrine system plays a vital role in whether or not you develop a wide range of diseases, not only including strictly endocrine-diseases. This book includes selected contemporary topics representing exciting recent developments in the field of endocrine and endocrine-related diseases. It is the result of a collaboration among eminent scientists and clinicians coming from eight different countries, including Argentina, Brazil, Chile, Italy, Romania, Spain, Turkey and United States. 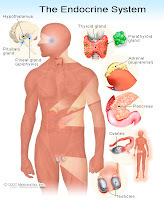 Basic and advanced recent trends and research studies in a number of endocrine and endocrine- related disorders are covered by the different chapters of the book. We will read about hereditary neuroendocrine tumors, with emphasis on their still poorly defined natural history and clinical course; pituitary tumors, with a comprehensive overview of the recent advances in their pathogenesis; thyroid dysfunctions, including those related to aging and iodine deficiency; diabetes, with its hepatic complications, and double diabetes, a new definition that summarizes the coexistence of features of both type 1 and type 2 diabetes in the same individual, with a comprehensive discussion of the various aspects of this disorder and a focus on the search for a treatment paradigm in children and adolescents. Moreover, we will read about the testosterone as a new player in metabolic disorders and as a potential drug to counteract skeletal muscle diseases; the glucagon-like peptide type 1 and its multiple actions for which it can be considered an anti-diabetogenic agent and may have important implications in pathophysiological states such as obesity; the-insulin-like-growth-factor role in different human pathologies, including cancer; and the pediatric nonalcoholic fatty liver disease. I hope that, at the end, the reader will have a critic and advanced overview of selected hot pathologies related to the endocrine field.